Every event needs a backstage area. Things that happen behind the scenes may not be seen by many, but they are key to the success of every event. 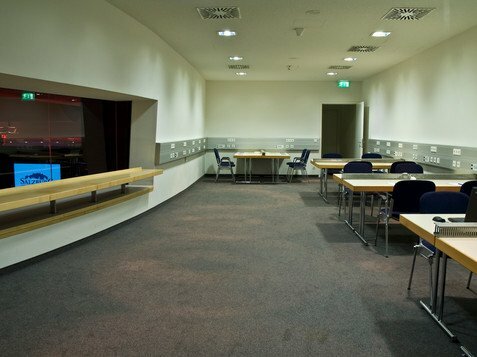 We are prepared for every possible eventuality with a Media centre, a large press centre, twelve interpreting cabins and five artists’ cabins on two floors. 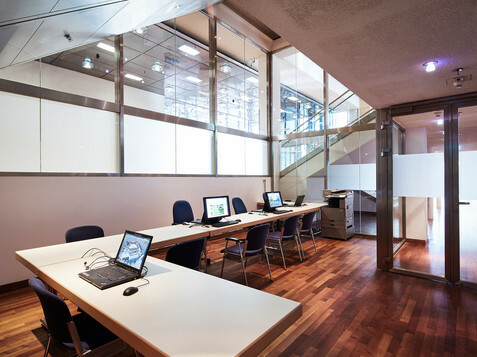 Central media centre (1st floor) is an essential fixture for scientific congresses to ensure everything runs smoothly in the presentation rooms. 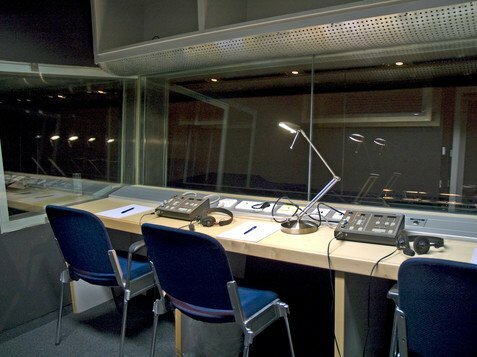 Space for 35 workplaces, direct linkup to the director’s box and a clear view of the Europa-Saal and the stage. 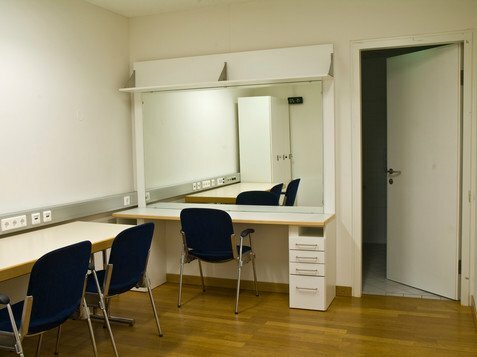 Two of the changing facilities at the back of the Europa Saal with direct links to the stage there.